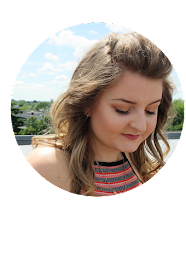 Last week I went along to the Drained Beauty Blogger event in Coventry. I've been to a couple of Coventry blog events in the past and I do enjoy getting to see the Coventry bloggers as the are all lovely. I tend to go to Birmingham Events the most as i'm Birmingham based however I did go to university in Coventry and it's only up the road and worth the commute. The Lovely Emily blogs at Drained Beauty and she organised the event, it was held at LUSH Coventry. The event was about networking and communicating with other blogs. I love getting to know new bloggers and catch up with people I've met before. During the event we got to find out about the latest Christmas Releases from Lush in particular their Christmas Gift Sets! They are fab and vary in price, you can get so many afforable sets under £10 but they also do bigger sets which vary from £10 - £155!! The gift sets are amazing and have the best products in, I love all the Christmas products, they have some really good bathbombs and bubble bars, I always end up spending far too much whenever I visit Lush. I also got to find out more about their shampoo bars, i've never used one before so I picked one up and first impressions = OMG its amazing! Overall, it was a great event lots of chatting, networking and I took so many photos ( I LOVE THE LIGHTING IN LUSH) Thanks to Emily for inviting me, can't wait for the next event. Also thanks to The Blogger Programme for supplying the goody bags and the other brands for supplying goodies for the bags.